Flight pickup times vary from 4:15am in Summer to 5:30am in Winter dependent on first light. You will be picked up from your Alice Springs accommodation prior to flight, please enter name of where you are staying here. Thankyou for your booking, we will email your confirmation as soon as possible with payment details. Journey to the launch site in the cool pre dawn darkness and begin the ascent just as the morning light begins to illuminate the rugged MacDonnell Ranges. 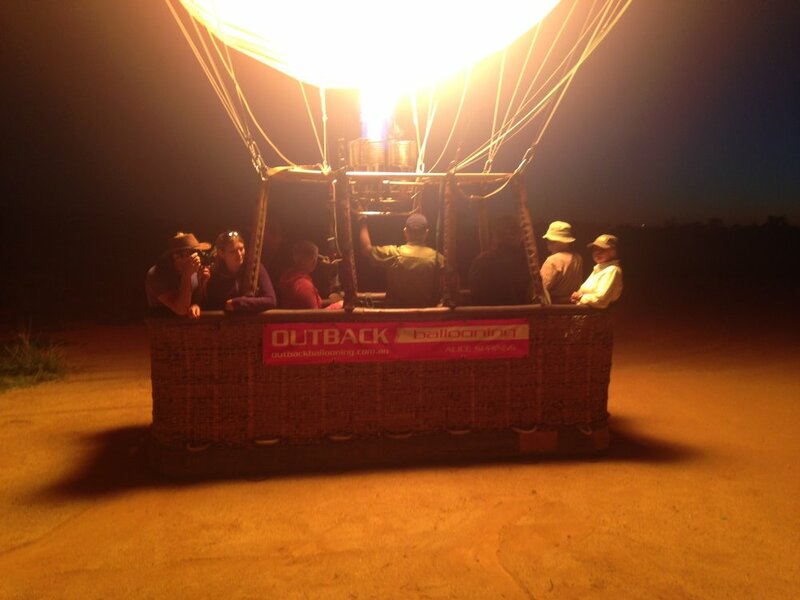 Float gently across the vast expanse of the Central Australian outback – keeping an eye out for native wildlife including the iconic red kangaroo and gain an appreciation of the remoteness of the area as the balloon glides across the landscape. After landing you may become involved in assisting the crew as they pack the nylon balloon back in to its bag or may prefer to take photographs, the choice is yours. 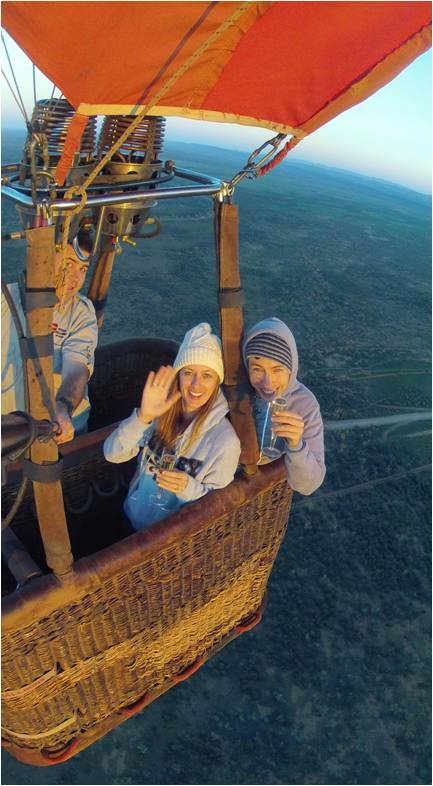 At the ballooning landing site, there is time to enjoy the desert tranquillity as light refreshments accompanied by sparkling wine and tropical fruit juice are served. There is an opportunity to purchase ballooning souvenirs and a commemorative flight certificate is given to all participants. **Return transfers from all accommodation in Alice Springs is included with every flight. Pick up time is approximately 1 hour before first light – time will be given when booking and exact time will be confirmed when you re-confirm the day prior to flight booked. Transfers (at the end of tour) to the airport or other tours are available on request. ** Children 3-5 years are not recommended but considered on an individual basis. 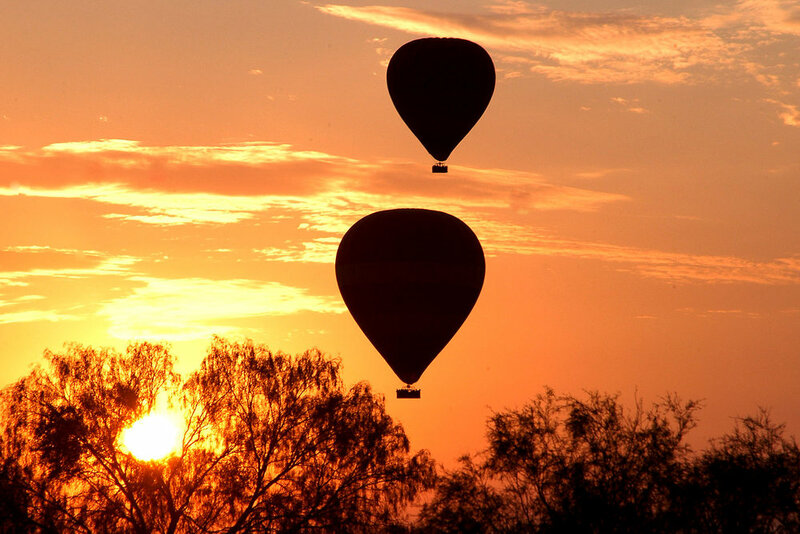 *** Depending on many operational factors, which vary each day, passengers may be on the ground or in the balloon when the sun is actually coming over the horizon or rising, either way you will still see an amazing dawn. Please note: You will enjoy approximately 60 minutes of ballooning. On occasion, the flight time may be two separate, sequential 30 minute flights taken one directly after the other with a short changeover in between the two flights, depending on operational restrictions. You will be notified the day prior should this be the case on the day of your flight.